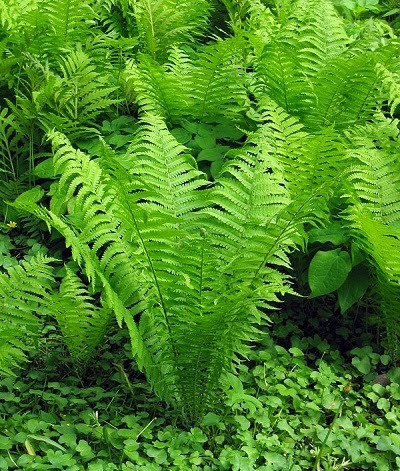 The Shuttlecock fern - Matteuccia struthiopteris, is one of just three species within the genus and the only one in general cultivation. However current research may result in both the closely related Matteuccia orientalis and Matteuccia intermedia being moved to the genus Pentarhizidium which would leave Matteuccia struthiopteris as a Monotypic species. Also known as the 'Ostrich Fern', it is a hardy, deciduous, moisture loving specimen, notable for its elegant, arching habit. In fact the species name 'struthiopteris' comes from the Greek meaning 'ostrich wing'. It produces an circle of golden-green, sterile fronds which surround an inner circle of shorter, dark-brown, fertile fronds. 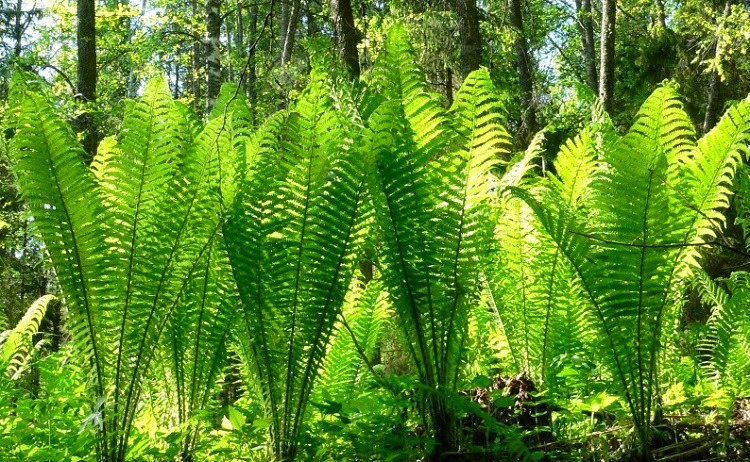 Both types of frond are elliptical-lanceolate and pinnately lobed. The crown produces several black stolons which form subsidiary crowns. Native to the temperate regions of the Northern Hemisphere, though more specifically eastern and northern Europe, northern Asia and northern North America, you can expect Matteuccia struthiopteris to reach an overall height of 1-1.5 metres with a width of between 75-100 cm. It will perform well planted in any ordinary, moisture retentive soil. In soils that are particularly free-draining and prone to dry out over the summer, dig in plenty of organic matter before planting. In my own garden I also mixed in a handful of polyacrylamide crystals (water-retaining gel) to help the soil lock onto the moisture for as long as possible. Matteuccia struthiopteris can occasionally be prone to scorching in full sun, particularly over dry periods, and so will do far better in a position pf full or partial shade. These plants will also require plenty of room for root development and so when planting multiple specimens allow a spacing of approximately 1.5 metres between plants.